Cogzidel Technologies Pvt Ltd is a young and vibrant company located in Madurai and specializing in Web development and Mobile app development. Cogzidel Technologies have been in existence since 2008 & has built careers for 5500+ young professionals belonging to the rural part of India. 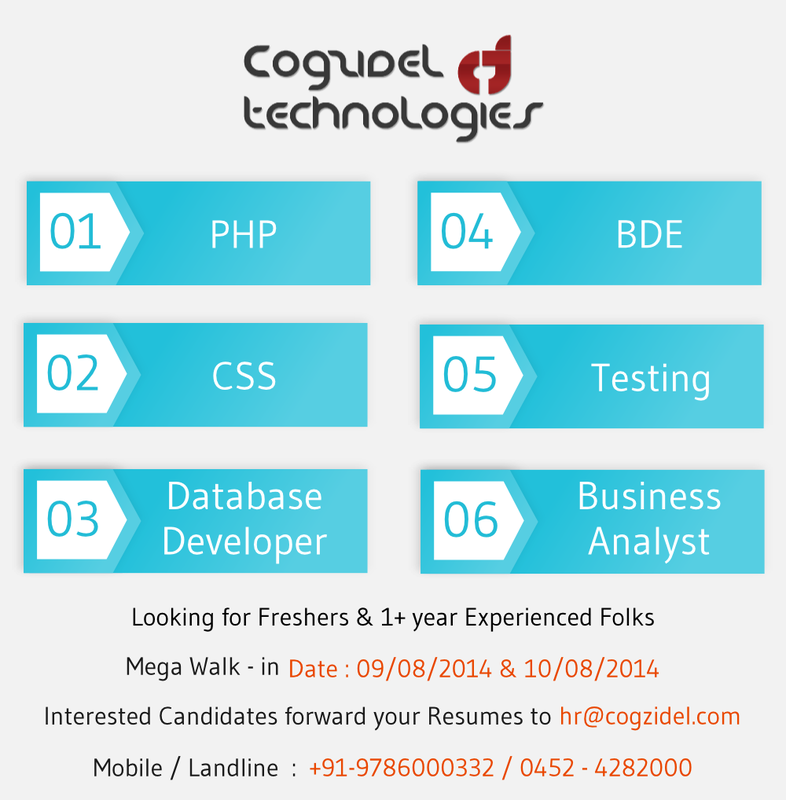 Now we are waiting for the brightest minds around Madurai to be a part of Cogzidel family. Qualification: We don’t feel Qualification to be a deciding factor for judging one’s talent. If you feel fit into our requirement, please walk-in to our office with your resume. Hi . is this opening for 2014 passed outs or even 2014 – 2015 final year engg students can appear for this interview.